Despite critical shortages of Wii consoles, the Nintendo machine appears to be absolutely thrashing the Xbox 360 and the PS3 in the Christmas console war. 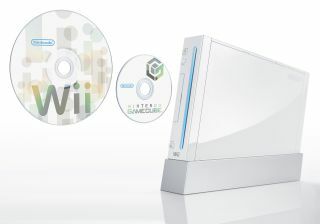 Nintendo said today that it sold a colossal 650,000 Wii consoles in just the first 14 days in November. That means despite the apparent lack of stock, Nintendo in the US has managed to flog one Wii console every two seconds solidly for two whole weeks. Back in October, Nintendo sold only 519,000 Wii console in the whole month. So it looks like the US has been given an extra allocation of consoles in November. Nintendo produces a healthy 1.8 million Wii consoles per month worldwide, and that's still not enough to meet the enormous demand. But despite demand far exceeding supply, the volume of Wii consoles being bought it still enough to comfortably beat the Xbox 360 and PS3 into second and third place. To put things into perspective a little, in October, the Xbox 360 was snapped up by 366,000 Christmas shoppers while Sony sold 121,000 PS3s. However, it might not be Nintendo that's experiencing a November sales boom in the US. SCEA said yesterday that since the beginning of the month, PS3 sales have increased by 298 per cent. In the seven days to November 11, it says it sold an impressive 100,000 PlayStation 3 consoles and it seems this sales boom is continuing. So that means by the end of November, Sony can probably expect to have sold around 350,000 PS3s. Which just happens to be the exact number of Wiis that Nintendo sold last week alone. The number of Wii consoles that Nintendo would be selling had it more stock is unknown. It's likely that it would be a lot more. And because of this, prices on eBay in the run-up to Christmas are gradually creeping up. Average Wii eBay prices are around £250 for just the console and no extras. That's around £70 more than the standard retail price, so there's plenty of people making money from from the console's popularity. And prices are expected to soar as we move into December, with Christmas looming large on the horizon. In the US, despite the Wii having a lower RRP than in the UK, eBay prices are already pushing the $700 (£340) mark. A sign of things to come for the UK?